Loading Dock Bumpers - What is Your ROI? Loading Dock Bumpers are a reliable, quality product with high impact absorption. 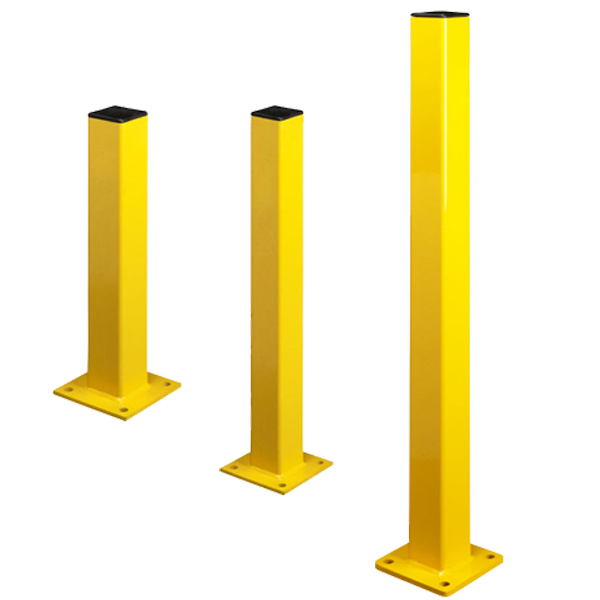 They are a great solution to protect your loading dock and factory walls. Freyer carries many variety of Loading dock bumpers each with their own attributes. Everything we carry is a great investment in protection. ROI is little considered when buying dock bumpers. Loading Dock bumpers may be the highest ROI of any equipment in your loading dock, facility or warehouse. This may seem like an overstatement until you think about the cost when a dock bumper fails due to age, wear, or improper installation. Loading dock layouts are drawn up with exacting measurements within inches so that all the components function together. A missing, worn or damaged loading dock bumper could have costly consequences. Trucks penetrating too far into the dock can cause severe damage to dock sills, building walls and foundations. Dock seals may be over compressed which will affect their service life. Truck restraints may not engage causing trailer creep making possible deadly accidents or severe injury. Every year loading dock and facility walls are damaged because of worn or missing bumpers. This results in costly wall repair or needless replacement of loading dock equipment. 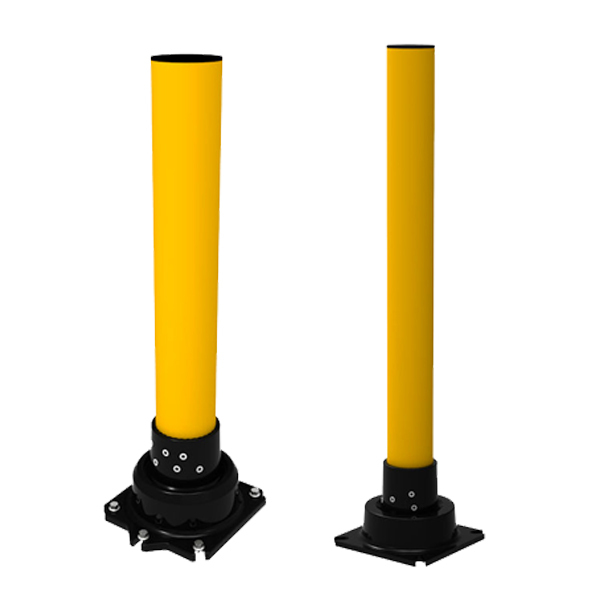 Considering a dock leveler can cost 500-7500 dollars, a dock seal replacement could run up to 3000 dollars and wall repairs can be 10,000 or more, it would be in your best interest to replace your old bumpers that may run from a few dollars to hundreds of dollars. This is not considering down time and the possibility of liability issues. When replacing your loading dock bumpers make sure a review of your layout is conducted. If a failure occurred, new equipment might not fit into your old layout. 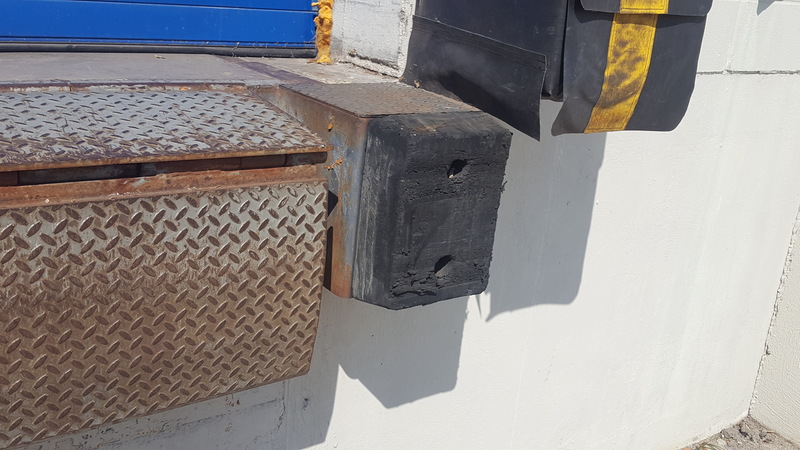 Determining the cause of the failure may lead you to choose a loading dock bumper with different dimensions or material properties. 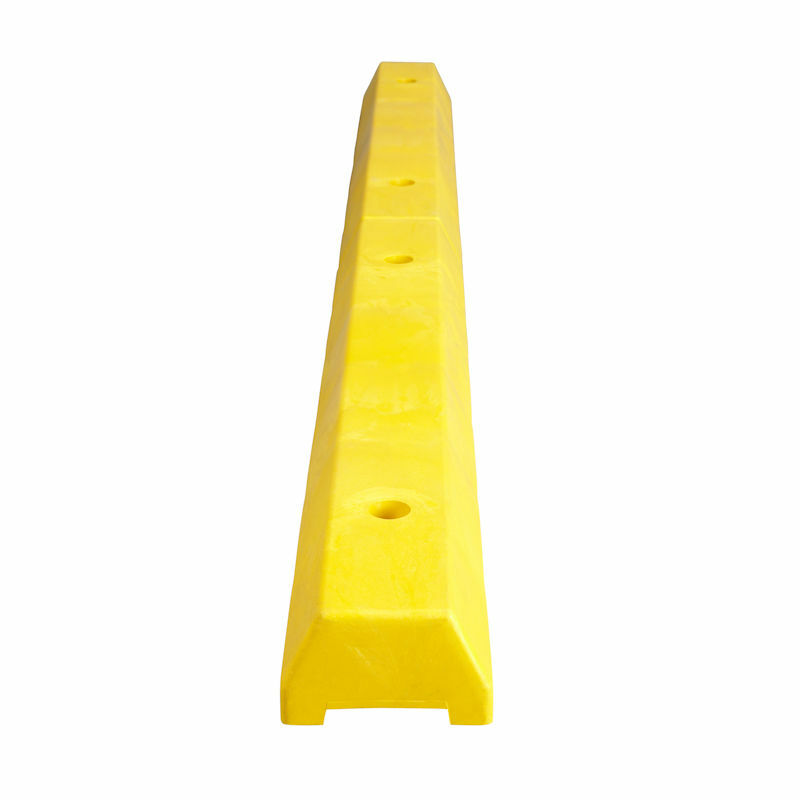 Steel-face, Laminated or a low profile molded rubber loading dock bumper may be a better suited to your day to day operations than your old bumper. Freyer provides warrantied loading dock bumpers for most applications. 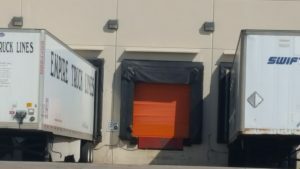 Selecting a qualified installer is also needed to insure the Loading Dock Bumper you select will have a long life and protect your loading dock and equipment. A good installer will guarantee their dock bumper installation for several years. 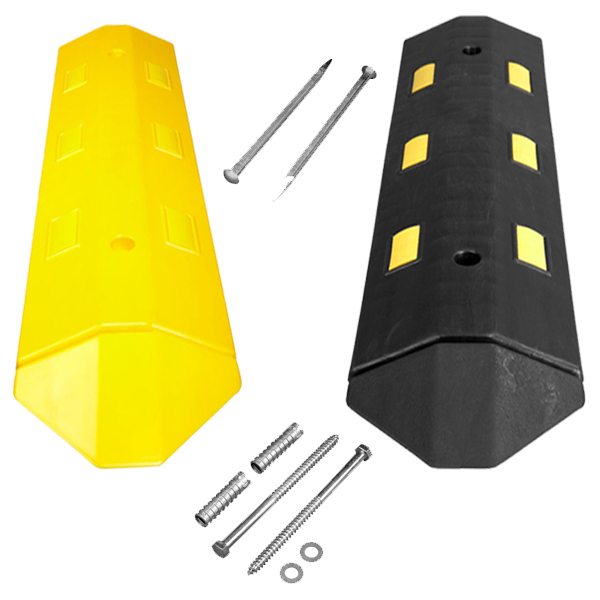 Taking time to ensure the installation site is ready for installation and anchoring of the dock bumper will save you headaches later. A loading dock bumper that is installed properly will never detach itself from the wall. A good installer will anchor your dock bumper properly, use steel plating or gussets when necessary and provide protection for your entire operation. All your employees should be reminded of the importance of daily inspections. When they are walking around your plant or facility they should be looking for signs of damage or ware that may cause big problems down the road. Scheduling regular inspections of your dock bumpers and equipment could save you big later. The cost of replacement loading dock bumpers are a cost, but it is a huge savings when considering the expense of damage to your building and replacement of your loading dock equipment. What is a loading dock bumpers ROI? It could be thousands of dollars in preventable lost time, liability, building damage and loading dock equipment replacement.